It's the dawn of a new era for humankind, and the Huxley Foundation has sent out a fleet of exploratory vessels on a mission of peace. The FSS Armstrong, one of the most advanced ships in the Foundation fleet, rides on the forefront of this age of exploration. A series of episodic short stories that build on one another to form a single narrative, structurally similar to a TV show season. Book 3 in the Fringe Series! The torrent rebellion is here. The Fringe Liberation Campaign has sparked protests and rebellions across the Collective. Can the fringe unite into a single front before the Collective Unified Forces send everything they've got to destroy the Campaign and kill every last torrent? (Note: This is a draft so please excuse any errors. The finished novel is available in paperback, ebook, and audiobook). A man with a past, not tied to anyone makes a startling discovery that changes his life and his perceptions of it. Being alone Derrick found it calming, then he had a dream, or was it? Book 2 in the Fringe Series! Word of a new Uprising has been spreading, but getting recruits to sign up is proving to be a challenge. The Collective Unified Forces has put the colonies in a chokehold, restricting all actions and resources. Cut off from supplies and potential recruits, Captain Aramis Reyne and his two fellow captains devise a reckless plan for freeing the fringe stations and pulling the colonies free from the Collective. With enemies coming at them from every angle, they soon realize that no one, not even the fringe, wants them to succeed. Humanity emerges from the aftermath of the technological singularity having conquered scarcity, disease, poverty, aging, death, and, or so they thought, even war. With the aid of artificial intelligence and uplifted animals they have founded a virtual Utopia among the stars where people work only for personal development, satisfaction, or selflessly for the benefit of others. An attempt to help another space-faring species has unexpected consequences that threatens to engulf a whole region of space, and the Human Consensus is forced to intervene. When the small conflict grows into an existential threat to their entire civilization, humanity is forced for the first time to ask the question: can Utopia survive total war? The first novel in a new space adventure series! After the colonization of Mars and Europa, it took us fewer than five generations to reach beyond our solar system and discover new planets capable of supporting human life. Too far away to be governed under Earth law, the Collective was formed. Several hundred years later, the Collective has expanded to a thriving system of six inhabited worlds, but power struggles are common, and a seemingly inevitable interplanetary war looms on the horizon. It's nearly impossible for the working class to make ends meet. Aramis Reyne is one of the working class. An old space captain hounded by arthritis and war memories, he struggles to make enough credits to feed his crew and keep his ship flying by running mail and supplies to the farthest, most dangerous reaches of the Collective known as the fringe. When he's offered a no-questions-asked contract to pick up a package, he jumps at the opportunity. But, he quickly learns that he should've asked questions...and that there are far worse things in the Collective than being broke. Jay is a human being living on Eon, a planet billions of light years away from Earth that humans colonised after some scientists discovered a portal between Earth and this planet.But most of the Eonians (who look like humans only taller) refuse to live with Humans because on top of being foreigners they started developing new strange abilities. It has taken countless years and billions of lives, but the Earth has finally achieved a tentative peace. Ruled by a group known as The Council, humanity tries to return to everyday life. To help keep the peace, The Council has ordered the creation of the Battle Fleet. Since the announcement Jack Ryan has prepared himself to join. Things quickly spiral out of control for Jack as he discovers an ancient enemy, bent on destruction. The galaxy is on the brink of destruction and its up to Jack and the Battle Fleet to save it. Special thanks to RMPacheco for the awesome cover. A series of episodic short stories that build on one another to form a single narrative, structurally similar to a TV show season. It is recommended that this collection be read after completing Starship Armstrong - Season 1. 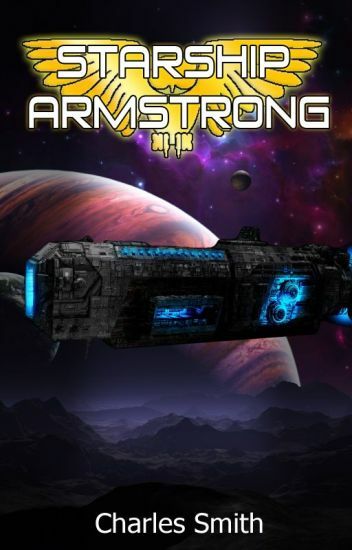 The continuing journeys of the FSS Armstrong as it explores the periphery of the galaxy on a mission of peace in search of lost human civilizations. This is the third Season of an ongoing series. It is recommended to begin with Season 1. Gone is the peaceful life of the family of five miners. Now they live in a world of mystery and intrigue where things are never as easy as they would seem. They quickly learned this when a simple bounty turns into something much much bigger.